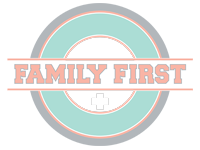 Family First was established in 2012 by Dr. Kristin Ault and Dr. Justin McInnis with the idea of providing Jacksonville, Texas with both quality primary care and urgent care for injuries and illnesses that cannot wait. Dr. Ault and Dr. McInnis are Board Certified in Family Medicine and graduated from the University Of Texas Health Science Center at Tyler Family Medicine residency program in 2008. It is our belief that quality health care should be comprehensive and easily accessible. Dr. Ault and Dr. McInnis have deep East Texas roots and look forward to serving the Jacksonville, Bullard, Tyler, Longview, Palestine, Athens, Rusk, Troup and Frankston Texas areas. Quality healthcare for the entire family. Immediate care for injuries and illness. In 2015 we expanded to include a Medical Spa that offers a wide range of anti-aging services, cosmetic treatments, and BioTE Hormone Replacement Therapy. Our experienced medical staff offers Medical Spa services to meet all your aesthetic care needs.